The President of the Republic of Colombia, Mr. Juan Manuel Santos Calderón and the first Lady Mrs. María Clemencia Rodríguez de Santos are in Spain for 2 days official visit. Today they were received by the Spanish King Felipe and Queen Letizia at the Royal Palace of Zarzuela in Madrid. The visit will conclude the European tour of Colombian Head of the State. A Lunch was offered in the honor of His Excellencies the President of the Republic of Colombia, Mr. Juan Manuel Santos Calderón, and Mrs. María Clemencia Rodríguez de Santos at the royal palace. 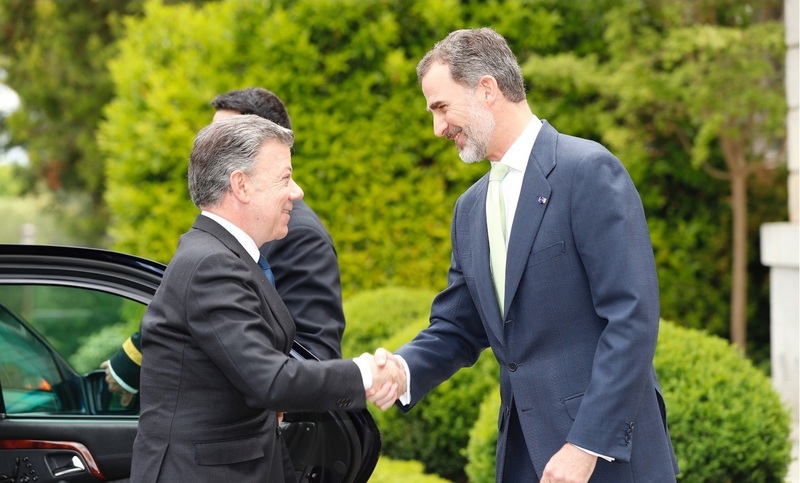 This was the 2nd state visit of President Santos to Spain and Felipe was hosted by the Colombian Head in 2016 during the Ibero-American Summit of Cartagena de Indias. To welcome the political couple, Queen Letizia chose a very professional yet stylish look from Felipe Varela. 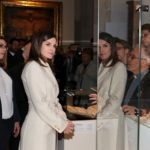 Letizia wore the white fitted tweed dress featuring notched collar, silver snap button bodice and patch pockets at the front. She first wore the dress last year in October during her visit to city of Valencia today to deliver the 29th edition of the Rey Jaime I Prizes. This time Queen gave the contrast touch to the dress with black accessories. She tied the waist of the dress with a thin black belt. Letizia was wearing black Nappa leather pumps with vinyl detailing from Magrit. Letizia finished her look with white gold and diamond tear-drop earrings. Get all the latest posts in your inbox. April 24 - King Felipe and Queen Letizia will offer a Lunch to the representation of the world of letters, on the occasion of the delivery of the Prize of Literature Castellana "Miguel de Cervantes" 2018. 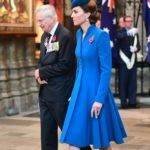 April 25 - The Duchess of Cambridge will attend the Anzac Day Service of Commemoration and Thanksgiving at Westminster Abbey. 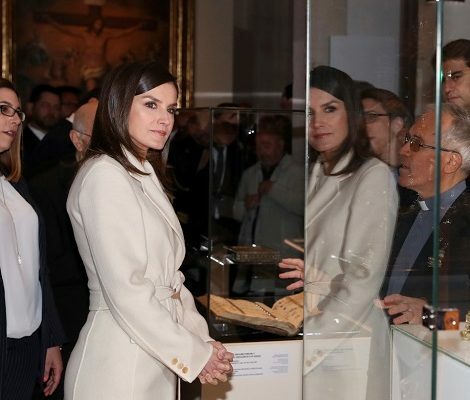 April 25 - Queen Letizia will present the SM Prizes for Children's and Young People's Literature "El Barco de Vapor" and "Gran Angular". April 28-30 - Queen Letizia will undertake a Cooperation Trip to the Republic of Mozambique. 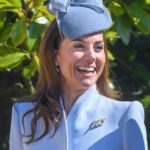 May 01 - Duchess of Cambridge will officially open Anna Freud National Center for Children and Families new Centre of Excellence. May 08 - The Duke and Duchess of Cambridge will visit North Wales. 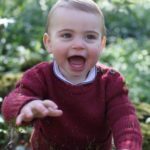 This website claims no credit for any images posted on this site unless otherwise noted. Images on this website are copyrighted to their respectful owners. Some photos are used under Fair Use with full credit given to the owner. If there is an image appearing on this website that belongs to you and you do not wish for it appear on this site, please contact us with a link to the said image and page. It will be removed immediately. This website is part of affiliation market and uses affiliated product links on some pages.. It means, I receive compensation from some of the companies mentioned here, at no extra cost to you. Full details can be found here. Copyright © Regalfille 2017-2019. All rights reserved.